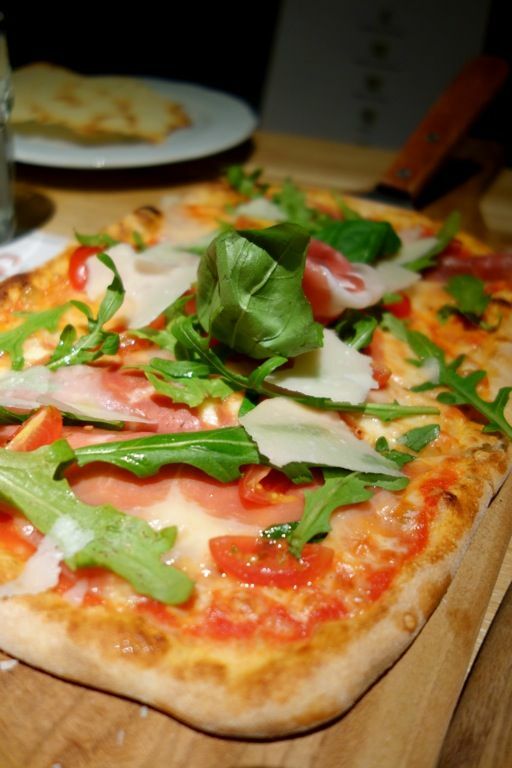 When we talk about Italian cuisine, the first that comes to mind would probably be pasta or pizza. 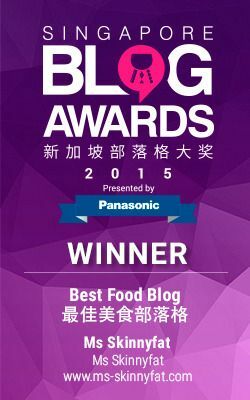 But there is more to Italian food than just that. I think that as we travel more and become more refined in our palate, we are now ready to explore the lesser known regional flavors. 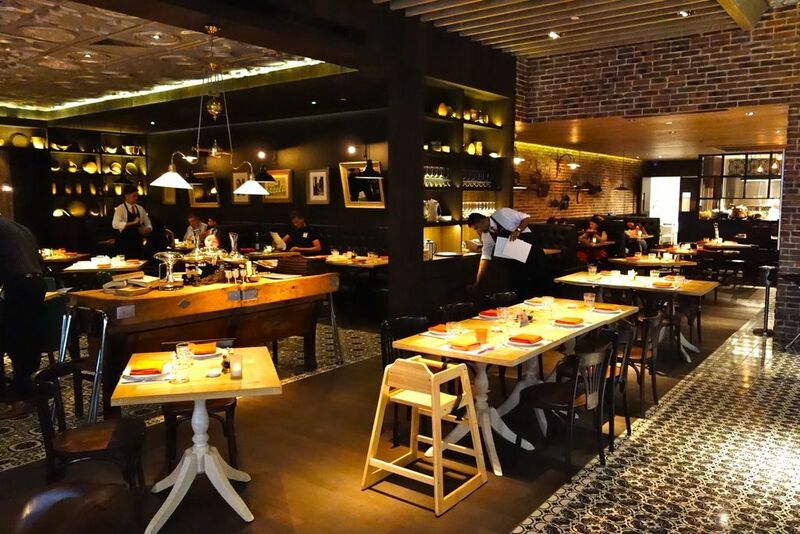 Sopra Cucina & Bar is where you can be educated on the lesser known Sardinian cuisine, which is influenced by many cultures such as the Arabs, Spaniard, Romans and Phoenicians. 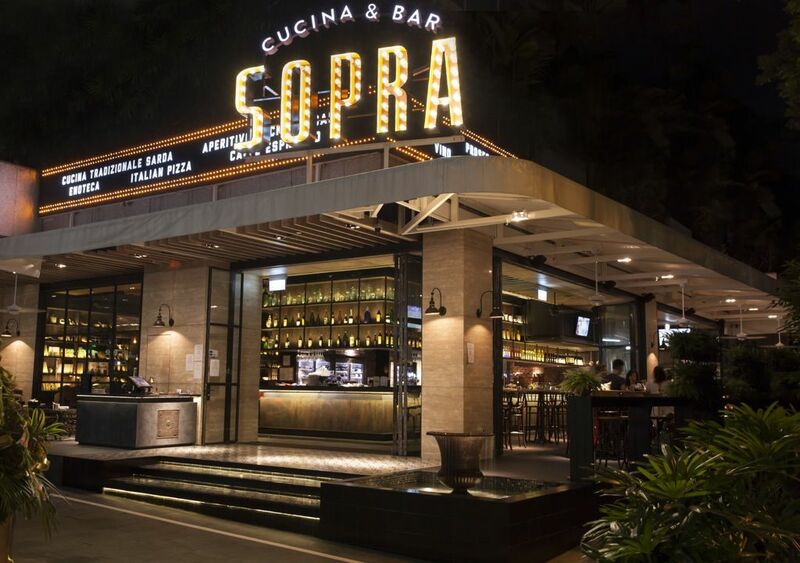 Hidden just off the main stretch of Orchard Road, Sopra Cucina & Bar is Singapore’s first Sardinian restaurant. The exterior reminded me of old school Hollywood and the decor an ode to the glamorous days of post-war Italy. The menu features dishes unique to the second largest island in the Mediterranean Sea, together with great thin-crust pizzas, wines and cocktails. Inside, an eclectic treasure trove of antiques and vintage finds sourced from Italy allude to a bygone era. In the main dining area, intricate hand-painted tiles cover the floors and luxurious leather banquettes line the walls. If the environment sounds intimidating to you, i can assure you that it is most certainly not, especially if you hang out at the alfresco bar area. There are many dishes to try here and the best way to sample the Sardinian classics would be to go for the Menu Sardo, a set meal which allows you to try many traditional dishes. The 4 course meal is priced at $98 with a minimum of 2 pax. The dishes that i'd be highlighting are also available in the a la carte menu should you feel not up to it for a full meal. Bicscotto Di Pecorino ($22)- Seard roll of fresh Pecorino cheese in "Carasau" bread (a thin crust sheet), served with a touch of honey. Pecorino cheese is a staple in Sardinian cuisine and we saw a repeat of that in many dishes to follow. 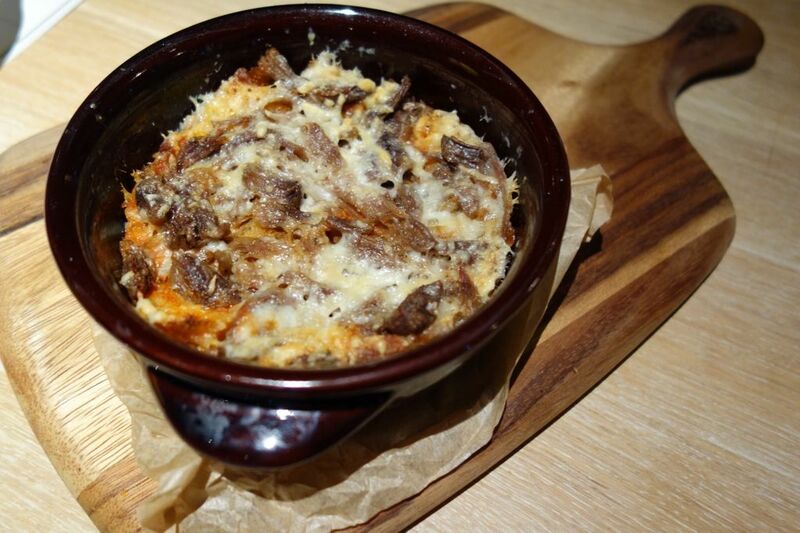 Even though Sardinia is an island and many would expect seafood to be a staple but lamb plays a huge role in the food scene due to its mountainous region.The Zuppa Gallurese ($26) is a traditional Sardinian bread soup with lamb stock and Pecorino cheese. There is only 2 tablespoons of rich lamb stock and it was soaked up by the bread and cheese. It smelled pretty gamey but i thought the taste wasn't that bad. Then again i think my tolerance for gaminess is pretty high. W thought otherwise but the Zuppa was still acceptable for her. 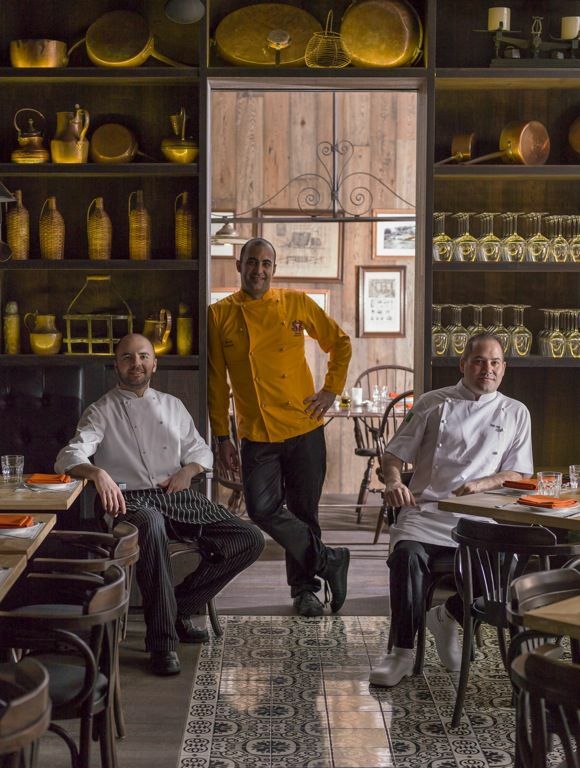 A native Sardinian, Head Chef Simone Depalmas is the one behind the specialty pastas and dishes from the idyllic island. The pastas are all made fresh on site, like the Culurgiones Ogliastrini ($28), a variation on ravioli filled with potatoes, pecorino cheese and a surprising hint of uplifting mint, served with butter and sage. It was a little bland but i enjoyed the fluffiness of the potato dumpling. 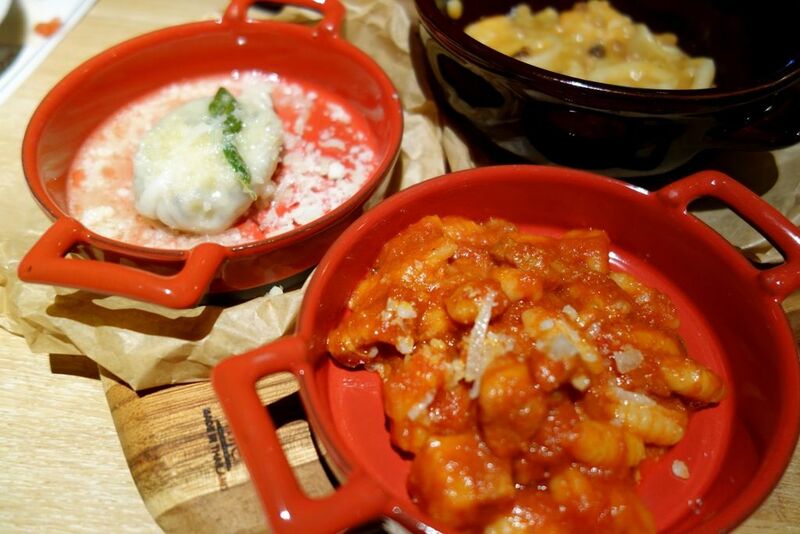 Malloreddus alla Campidanese, Sardinian gnocchi covered in a beautiful pork and rosemary sauce. These gnocchi weren't that heavy on the stomach and had a chewy density. The tart sauce was appetizing but could be rather sour. Fregola ($29), a couscous-like roast semolina pasta with seafood. These grains are bigger than cous cous with a starchy texture. There is a little spice in this one but generally it tasted rather light. I would liken it to a risotto. Other highlights include Agnello alla Sassarese ($35), a slow-cooked lamb and olive stew. 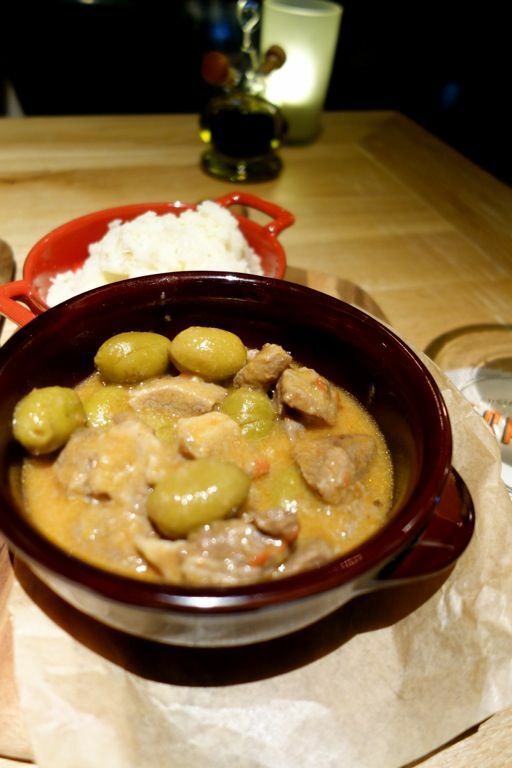 The lamb was very tender and the gravy salty and flavored by the olives. W thought this to be gamey but again i was good. I wished that there were crusty bread to mop up the sauce though. 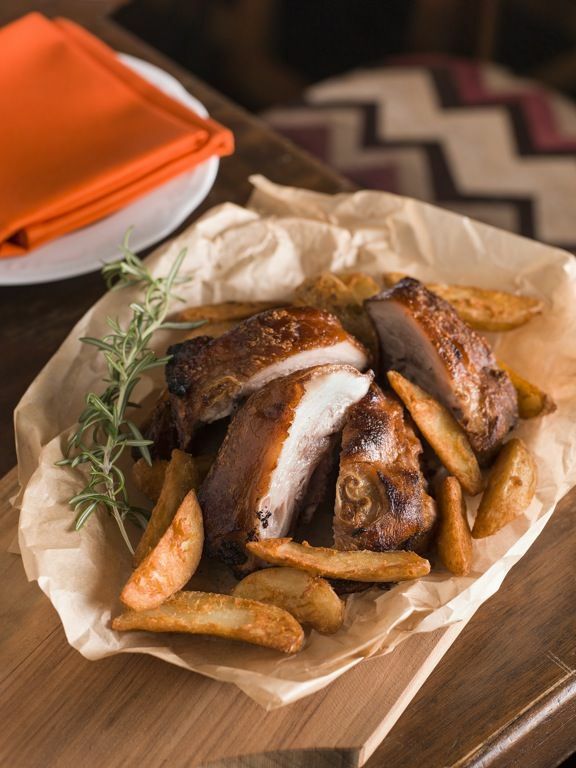 The Porcheddu Sardo ($48/pax) is a traditional Sardinian roasted suckling pig with roasted potato. (Additional $15 to set menu). I didn't enjoy this at all. There was too much fat that weren't rendered enough to melt in the mouth. The skin wasn't crispy enough and the meat was bland. Honestly i would rather have my Chinese sio bak over this anytime. We have the Salted Crusted Sea Bass for our Pesce (MP) Fish of the day. 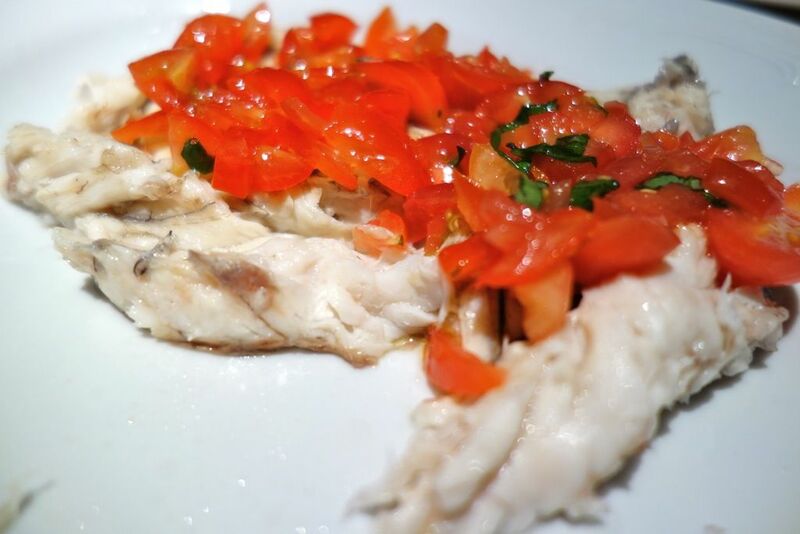 The fish was so good on its own then we didn't even bother with the tomato basil sauce. We also tried the Sopra pizza (not on the set menu) ($26 for personal 9"). The pizzas are made by co-founder and award-winning Pizza Master Chef Luigi Gianni. These traditional pizzas have a thinner, crispier crust than Neapolitan pizzas. The light fluffy dough with savory Parma Ham was addictive enough for me to come back with a bunch of friends to have this again. Oh yums. 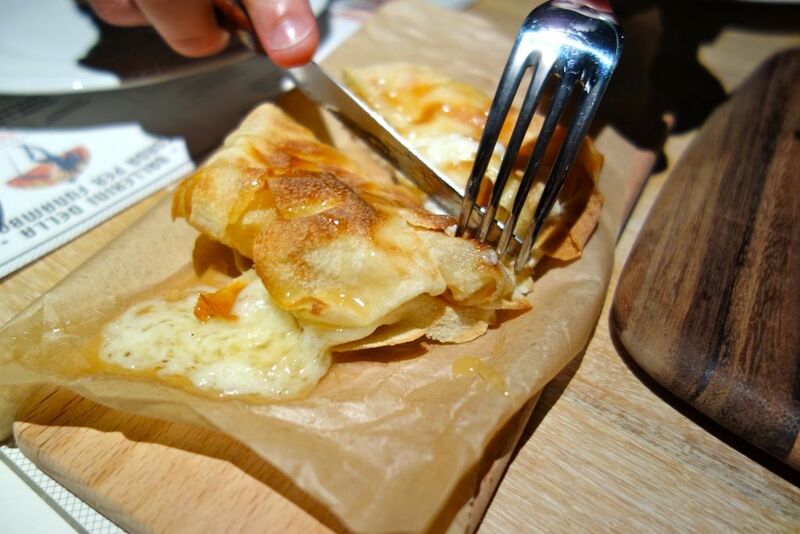 For desserts, we had the Seadas ($15), a traditional Sardinian ancient fritters with cheese and honey. 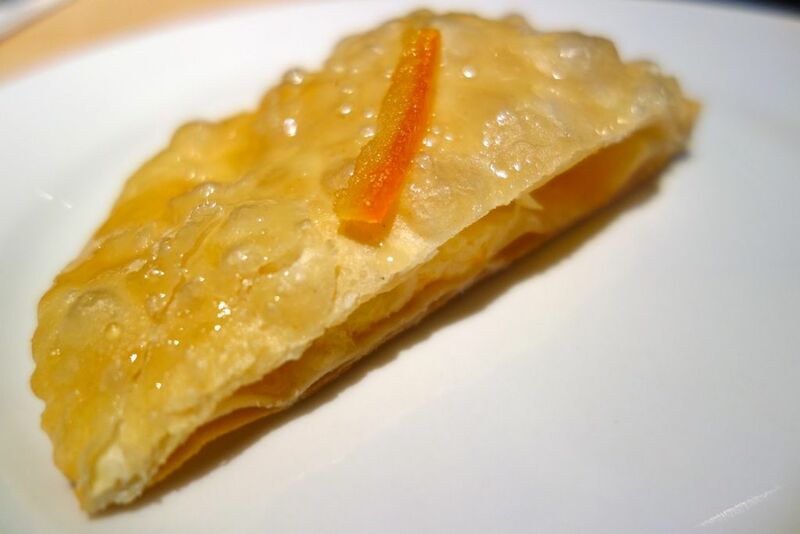 This had a fried epok epok texture. 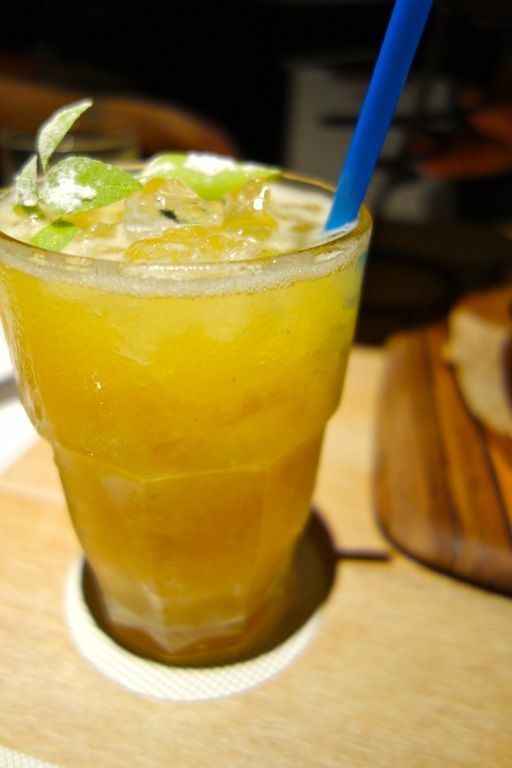 Interesting but not something that i'd order again. 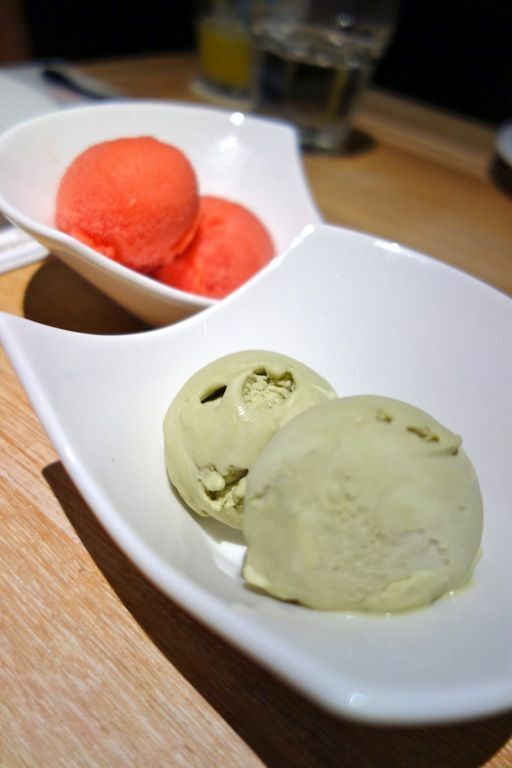 We also tried their blood orange sorbet and pistachio ice cream ($6 each). The sorbet was very refreshing after our heavy meal blood orange but the pistachio ice cream was way too sweet despite its intense nutty flavor. But do try their Pistachio Crumble and the Tiramisu! 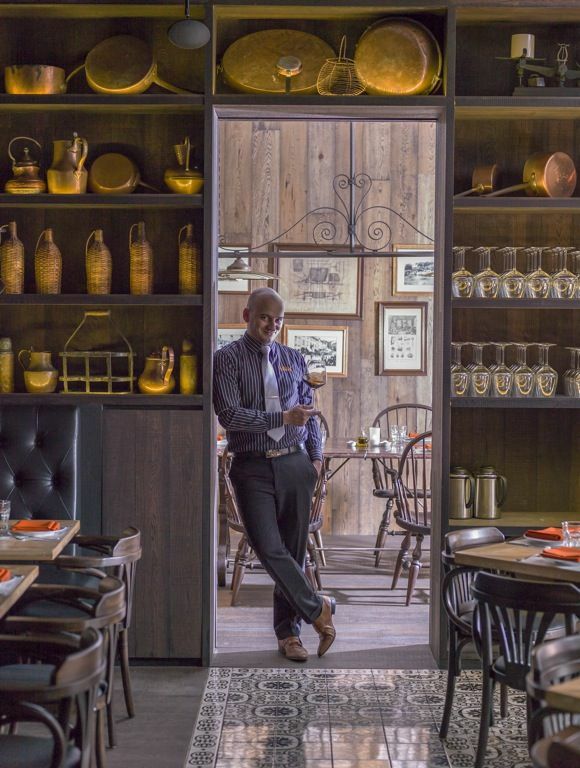 Equally impressive is Sopra’s extensive wine list put together by restaurant manager and former World Gourmet Summit “Sommelier of the Year”, Mauro Serrajotto. Mauro is a fantastic host and he kept us entertained and taught us many new things about food. 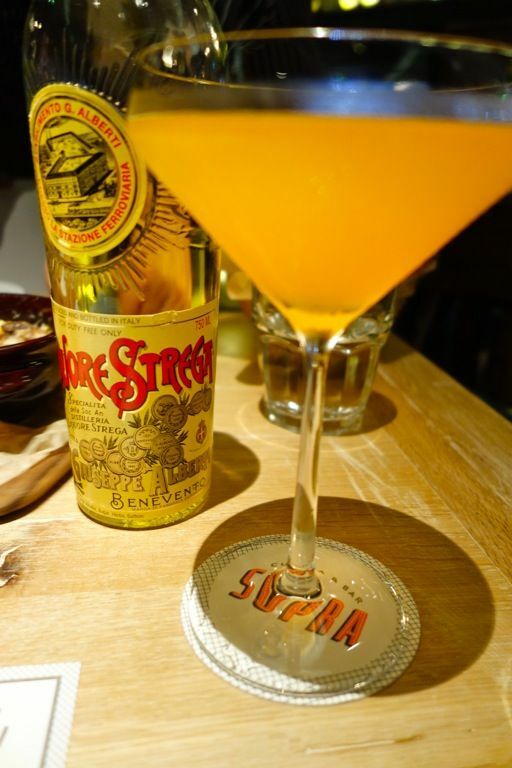 And the Strega-Tini ($16), the Cursed martini with grape fruit. 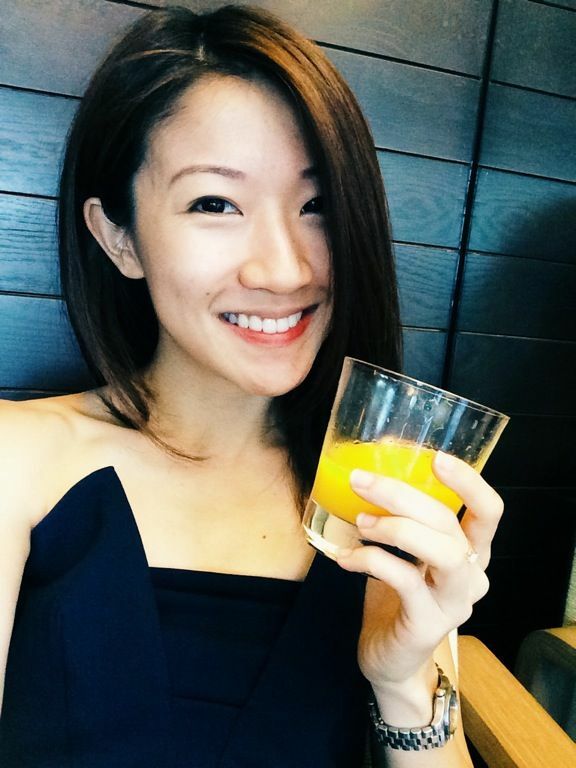 I absolutely adored the vibe of the place and the incredible service! 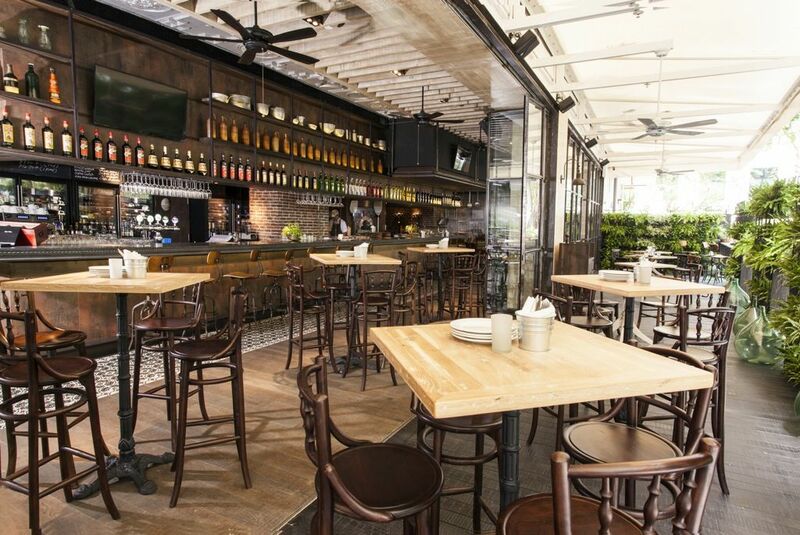 Sopra is certainly a place that i would hang out with my friends. Oh i already did and certainly will do again. Thanks to Sopra Cucina & Bar for hosting me for the wonderful meal!